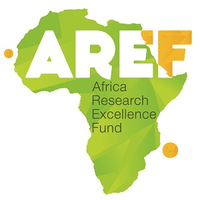 The PRECISE Network is delighted to be working with the Africa Research Excellence Fund (AREF) to deliver a Leadership Development Programme for our rising star researchers working in Africa. Africa shoulders a crippling share of the world’s disease burden and millions of lives are lost prematurely due to poor health and disease. In addition to the heavy cost to human life, the toll caused by disease is also holding back the continent’s economic development – a healthy population has a positive impact on the economy of a country. Achieving better health needs more outstanding African-led health research, and better translation of that research into healthcare policy and practice. The Africa Research Excellence Fund (AREF) was established by the UK Medical Research Foundation to invest in talented, emerging researchers in Africa. We nurture sub-Sahara African health research at its most vulnerable points by supporting and developing early-career researchers. Our vision is growing the community of African researchers who will deliver excellent research in Africa, for Africa.